U.S. Virgin Islands’ Carnival Road March winners Spectrum Band has been confirmed as the official house band for the upcoming National Association of Black Journalists (NABJ) Convention and Career Fair to be held in Detroit, Michigan from August 1 to 5, 2018. U.S. Virgin Islands Commissioner of Tourism Beverly Nicholson-Doty reported that the Department of Tourism was proud of its partnership with the world’s leading media organization for persons of color and considered it an honor to offer some of the Territory’s finest musicians to perform during the annual event, which will take place at the Detroit Marriott at the Renaissance Center. “To be able to share the musical genius of the Virgin Islands with thousands of our nation’s top journalists, public relations practitioners, professors of journalism and journalism students is a distinct honor,” said Commissioner Nicholson-Doty, who promised a colorful spectacle of Virgin Islands culture during the four-day conference. Spectrum will perform at signature events during the largest journalism gathering in the United States, whose theme is “Driving Journalism, Technology & Trust”. The band will perform at the Opening Ceremony, Hall of Fame Luncheon, Founders’ Reception, Salute to Excellence Gala and Gospel Brunch. The NABJ Convention brings together leading newsmakers as well as those who have demonstrated noteworthy life experiences and civic, social, personal and professional accomplishments. U.S. Presidents Barack H. Obama, George W. Bush and William Jefferson Clinton have addressed previous NABJ Convention attendees, along with U.S. Secretaries of State John Kerry, Hillary Rodham Clinton, Condoleezza Rice and Colin Powell. The annual convention attracts about 3,000 journalists, media professionals and students from across the globe. Spectrum Band, established in 2006, is a group of seasoned musicians bringing more than 30 years of musical experience to the art form. Some members hold degrees in music education with concentrations in vocal and instrumental performance, while others are skilled engineers, recording producers and instructors of the arts. Spectrum was the first band in the U.S. Virgin Islands to win nine consecutive road march songs in the first 12 years of its existence. 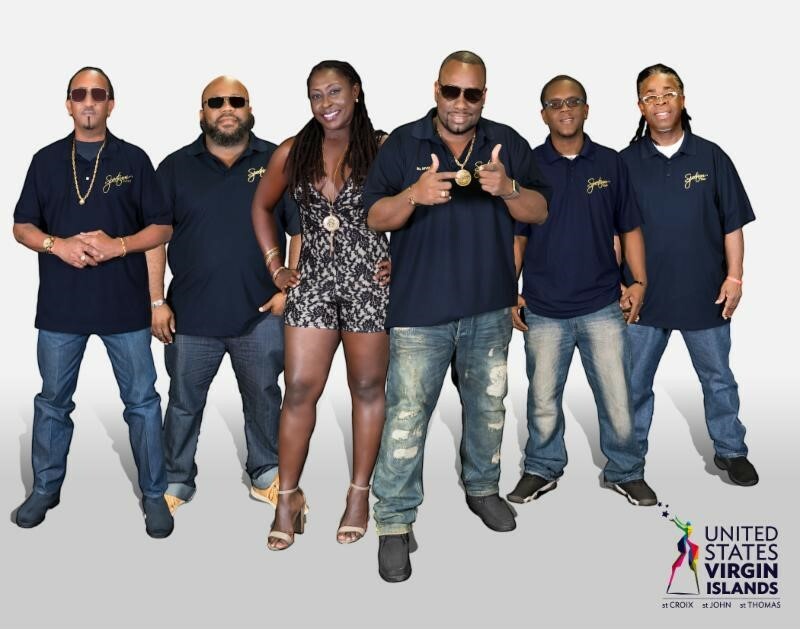 Band members include Malvern V. Gumbs, Daniella “Lioness” Richardson, Akeel Breedy, George Thomas, Moziah Miller, Leonard “Lenny” Monsanto, Wendel Thomas, and Fitzroy “Figgy” O’Garro.